Today I found out my friend, Wendy, just lost her 12 year old son Brendan to a brain tumor. He had only been diagnosed a month ago. He had his whole life before him. Don't we all think that. We want to all believe this life is going to be long and one day we will retire and enjoy our last decades sipping lemonades under a large oak tree on our veranda with the love of our life sitting next to us. But is this reality? No. At least not for most of us. You see, we are not in control of when we come into this world, how much pain we will have in this world, or when we shall leave this world. But as Christians, one thing we can be sure of is this: this world is the worst it will ever get for us. Those of you struggling through pain right now I really want you to hear me. God one day will call us home as He did Brendan today and on that day He will wipe every tear from our eye and there will never again be pain and suffering. We will get to enjoy our Savior forever. 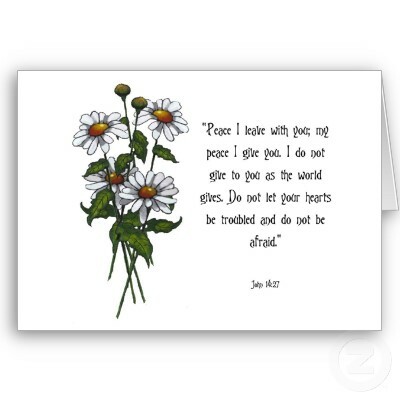 If that day is tomorrow or 60 years from now what matters most is this: are we glorifying God with our lives? Are we sharing the Gospel of Jesus Christ with those we love? It could be their last hour or yours. To the non-christian I ask this: Do you know where you are going when you die? Are you sure? God's words tells us there is a very real Heaven and also a hell. We all sin every day and because God is holy, holy, holy He can not be in the presence of sin. Hell is the place we all deserve to go...But God, in His great mercy and grace provided One way to Heaven and that is through Jesus Christ. He is THE way, THE Truth, and THE life. No one comes unto the Father except through Jesus-who bore our sins on the cross and rose three days later , defeating death. Repent now and put your trust in Him. You never know how much longer you have. Psalm 46 says, "Be still and know that I am God." It is hard to be still and know He is in control and rest in that. It is so hard to wait. I hate to wait, yet in the waiting I draw near to my Lord. I find that in the waiting I realize how much of my life is not in my control. God shows me during this time I need rest for my soul. Psalm 27 also tells us about waiting, "Wait for the Lord; be strong and let your heart take courage. Yes wait for the Lord." It takes courage to wait when we just want our pain to be over and get back to our old life. Find your strength in Jesus. He will renew your strength today! 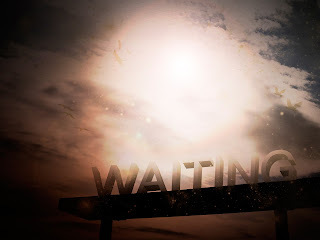 Are you waiting on the Lord?